« Who has standing to bring a charge against God? “But with me it is a very small thing that I should be judged by you or by any human court,” said the apostle Paul. How many of us could say the same thing? We usually think it’s a very large thing to be judged by others. And we often make ourselves miserable because of what others think of us. This sermon is all about the sin of pride and how our “puffed up” egos can be healed. To listen on the go, right-click on this link to download an MP3 file. 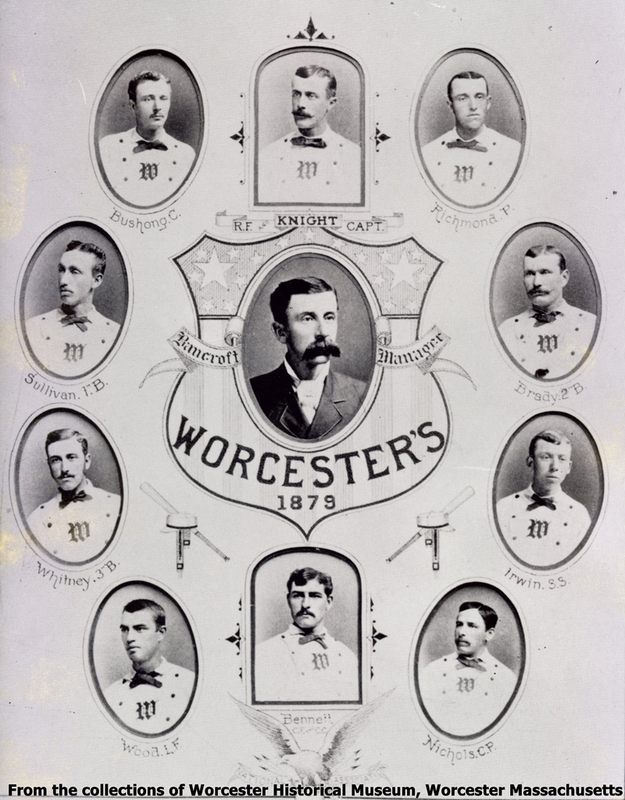 Worcester’s National League team once played before a hometown crowd of six people. Unsurprisingly, their franchise license was sold the next year to Philadelphia, where the team that eventually became the Phillies was started. A couple of weeks ago, in Baltimore, the Baltimore Orioles set a new major league record, which had previously stood for 123 years. In 1882, there was a National League team from Worcester, Massachusetts, called the Worcester Ruby Legs—I’m not making this up. And the Ruby Legs played another National League team from Troy, New York, called the Trojans. On September 28, 1882, these two National League teams played in Massachusetts before a crowd of six fans. 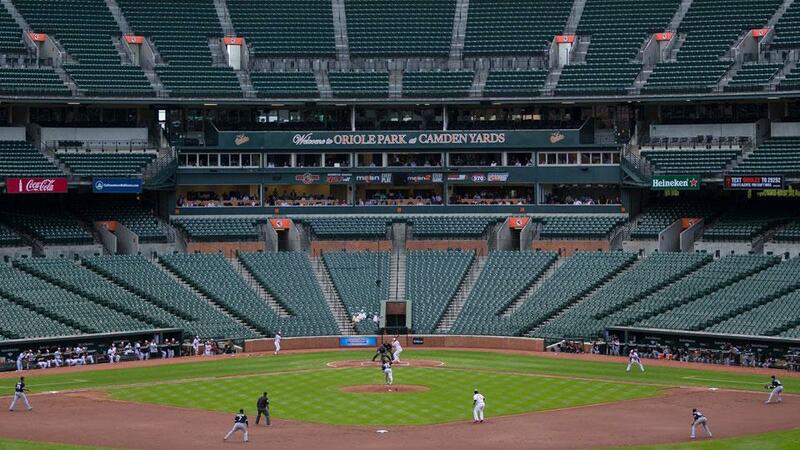 This game between the Ruby Legs and the Trojans set the all-time low attendance record in the major leagues, a record that stood until a couple of weeks ago, when the Orioles played the White Sox before a home crowd in Baltimore of… zero fans. The game between the Orioles and the White Sox. This was on purpose, of course. City officials were concerned about public safety in the wake of the riot, so they closed the game to the public—and instead just broadcast it on TV and radio. But think about that: What would it be like to be a major league baseball player and play a real game in front of completely empty stands? With no live audience, no cheering fans, no applause, very little noise to speak of. How much does the audience affect your performance? How much does the cheering crowd motivate you to do a good job—if you’re playing at home? How much does the crowd cheering against you cause you to mess up—if you’re playing away? And the answer to those questions is, “A lot.” I mean, good grief, you may have heard that the Falcons got penalized last year because even 70,000 cheering fans at the Georgia Dome weren’t making enough noise, so they had to pump in some more crowd noise through the speakers! Other people’s cheering and booing, approval and disapproval, encouragement and discouragement, love and hatred—have a profound impact on professional athletes—and people in general! And I believe it’s because of our pride, or what we more often call in our day—our ego. How strong do you feel the temptation to put yourself “above the rest”? For this very reason, I was so surprised and impressed by actress Natalie Portman, who made news last week for admitting to a reporter that she lost something. Maybe you’re like me: Do you get upset when you lose your car keys, or your wallet, or one of your many remote controls? Do you get upset when you lose your smartphone? Now imagine losing something really important, something irreplaceable—like, you know, an Academy Award. That’s what the actress said she lost. “I think it’s in the safe or something. I don’t know. I haven’t seen it in a while,” she said. Can you imagine? If I were an actor, and I won the Oscar for “Best Actor,” I would know exactly where my award was… at all times. It would be prominently displayed, if not on the mantle of my fireplace, then in trophy case that I built especially to house such an award! Right? I mean, aside from maybe a Nobel Prize—maybe—our culture bestows no higher honor on someone than that little gold man named Oscar! You know you’ve arrived if you’ve won an Oscar. Why? Because by winning one, you join a very elite and exclusive club. It’s not simply that you have one; it’s that you have one and nearly everyone else in your profession doesn’t. This award places you above all these others. This award proves your worth. This award proves your value. You know you’re special because you possess this! It’s a false idol. And our “false idols” do something for us, which we believe we desperately need. They feed our ego—or as Paul puts it in verse 6: they make us “puffed up.” With pride. This Greek word is related to the word “bellows,” like the bellows of an accordion—you inflate it, puff it up with air, and deflate it. Our pride, our ego is like that. But the same Greek word was also used in the practice of medicine in Paul’s day to describe what happens when a bodily organ—such as our intestines—become distended, or swollen, or puffed up. I don’t mean to be gross, but, you know, we often talk about “fat Elvis” in the seventies, before he died. From what I’ve read, it wasn’t just that he was fat from overeating; he had a medical condition—brought on in part by his drug abuse—which caused his intestines to swell. Doctors in Paul’s day would have used this same Greek word to describe that painful, swollen condition. Our ego, in other words, can easily become infected, diseased. And so it does. Here’s an example of what I mean… Until this very moment, as I’m talking about it, I haven’t given a single thought to my left elbow. I did not wake up this morning thinking, “Wow! My left elbow is just awesome. Look how well it works. I can bend my arm like this without any trouble whatsoever.” I rarely ever think about my left elbow—except occasionally when I hit my funny bone. Otherwise it does not draw any attention to itself. On the other hand, I woke up this morning, put my feet on the floor, and immediately thought about my left heel. Why? Because in my left foot, the plantar fascia—which is the bundle of tissue that connects my heel to my toes—is inflamed. It’s an injury from running. And it hurts. 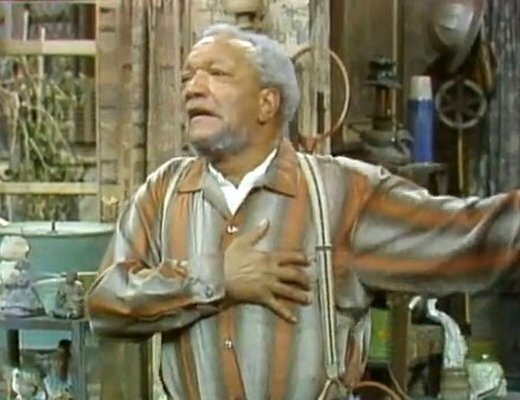 And when I take my first few steps in the in morning, or when I stand after a long period of inactivity, I move around like Fred Sanford in Sanford and Son, if you remember that show! I’ve been to my doctor. I got a cortisone shot. I’ve done a few things to make it a little better. But the point is, I think about my heel because it won’t stop hurting. And when does our ego do this? Every single time we get our feelings hurt! That’s what our “feelings” are: our pride, our ego! Our feelings get hurt because, like professional athletes, we long for the cheers, the applause, the praise, the recognition of others. We need their approval. We need their love. We need them to think we’re wonderful. We need them to think we’re important. And when, through their words and actions, they don’t give us what we think we need, well… it hurts. God knows I often struggle with this too! You would think that we pastors would be the happiest people on earth. After all, there aren’t many jobs in the world in which, when you finish your work, people literally line up to tell you how good you did! Right? Yet, every week, this happens to me and to other pastors. 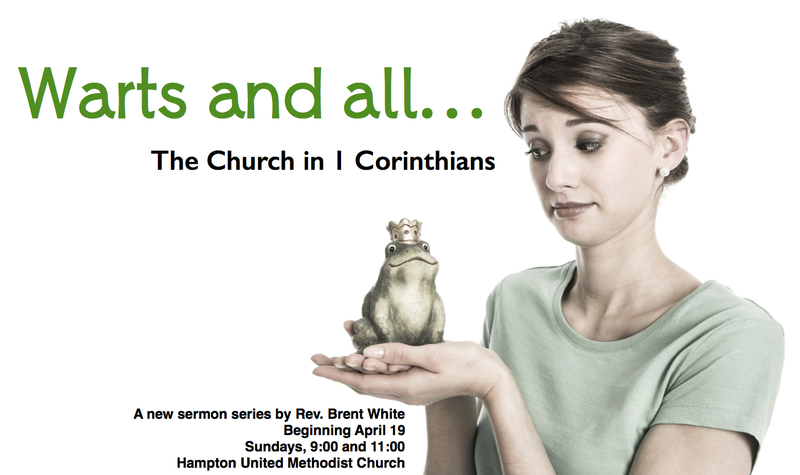 You guys line up and tell me how much you liked my sermon—even if you don’t mean it! But you say it because you’re nice! And I eat it up! I love the praise! I love the adoration! I love the approval! It’s not exactly an Academy Award in terms of recognition, but it’s not bad. Now, there’s nothing wrong with enjoying praise from others for a job well done. But it can so easily turn into something harmful. “I need you to tell me I did a good job so I can feel good about myself.” And if, on those rare occasions when I don’t knock it out of the park and someone ventures a word of criticism—well, my feelings can get hurt. It seems like such a small thing—getting your feelings hurt. Just like my plantar fasciitis is a small thing. But when it keeps happening—over and over—it’s a sign that we have a problem. And when it comes to our ego, we often have a serious spiritual problem. And I want to be cured of it, don’t you? I want this recurring pain to go away. The point is, contrary to commonly held beliefs, we don’t struggle with low self-esteem. That is not our problem. So the solution to our chronic, painful problem with ego is not to be puffed up but to be filled up… filled up with the love and grace of our Lord Jesus Christ! The solution is to be filled up with the Holy Spirit and not puffed up with ourselves. The solution, as John the Baptist said in John chapter 3, is to let Christ become greater, while we become less. The solution is to seek first his kingdom and his righteousness, and whatever we need we can be sure that he’ll supply. But if that’s really true, are we willing to trust that it’s true? Because if only we could, then we’d be like Paul—our “feelings,” our ego, would be bullet-proof. Not because we developed thick skin, or because we toughened ourselves up, or because we felt so superior to other people that their opinions didn’t matter… No! Our feelings would be bullet-proof because we would be so busy thinking of the Lord and what he wants from us, we would forget to even think of ourselves! Can you imagine being like that! That’s what I desperately want, don’t you? And that’s exactly the right attitude. What do you have that you did not receive? Nothing, Steph Curry says—even all my gifts for playing basketball come from the Lord. That’s a great attitude of humility we should emulate. But not so fast… Some cynical person might object, “That’s easy for a star basketball player to say. He’s on top of the world right now. What about me? God didn’t bless me with these kinds of extraordinary gifts.” And that’s true. He didn’t. And he may never give you those kinds of gifts. But think about this: If it’s true, as Paul says, that “everything we have we have received from the Lord,” then it’s also true that the Lord is responsible for all the things we don’t have. We don’t have them for a reason. We have what we have because of the Lord, and we don’t have what we don’t have because of the Lord. And part of being a disciple of Jesus Christ is learning to be O.K. with that. Paul could have looked over his shoulder—at other disciples, at other Christian teachers and preachers and church leaders—and said, “Why do they have so much, and I have so little? Why do they have such a comfortable life, and I have such a hard one? Why do they have things so easy, while I suffer like this?” He didn’t do that. Why? Because he knew that he had exactly what the Lord wanted him to have, no more, no less. The Lord’s in charge. The Lord knows what’s best. And the Lord gets to say what we have! And because he knew he had exactly what the Lord wanted him to have, that meant that he had enough, which meant that he had everything he needed. Lord Jesus Christ, give us the faith to believe that as well. Amen. C.S. Lewis, “Mere Christianity” in The Complete C.S. Lewis Signature Classics (New York: HarperOne, 2002), 103-4. This entry was posted on	May 26, 2015 at 10:40 am	and is filed under Uncategorized. 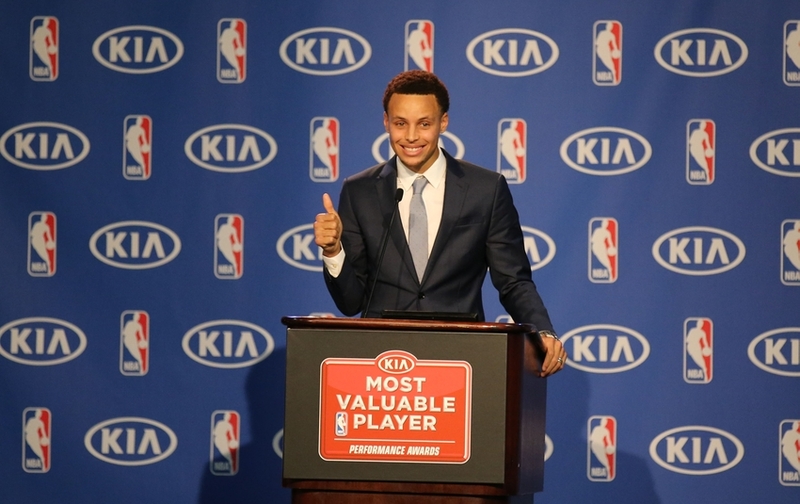 I commend Seth Curry’s acceptance speech, in full, to everyone. What a fine young man. He was raised right. At least 90% in agreement here. Caveat. 🙂 There seems to be some basis for “thinking well” of ourselves to the extent that we are devoted to the “cause of Christ.” Nehemiah says, “Remember me for good for all this I am doing.” Paul speaks of crowns he/we will receive for certain aspects of spiritual behavior. Indeed, we will be judged by GOD for, in fact, what we have done for/against Him. We will be judged to the extent of “every idle word”! A cup of cold water. I agree. 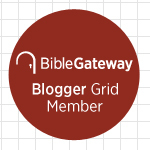 I never seem to get around to talking about believers’ judgment and rewards. I will some day. God gave Seth the talent. His parents gave him the “training”, discipline, love, encouragement, and most importantly his introduction to God. Seth listened to his parents and his God. He worked hard and learned from his coaches and teammates. Talent is only a raw material. It must be molded and developed. Seth understands all of the above. He gives God, his parents and others due credit, and thus honors them in his life. Please do! The believer’s judgement is so nuanced. Not a judgement of sin, but a laying to account of every deed of our life. That’s pretty intimidating. All pretense and hypocrisy stripped away! I’ll be lucky to get assigned to the cleaning crew in Heaven! !